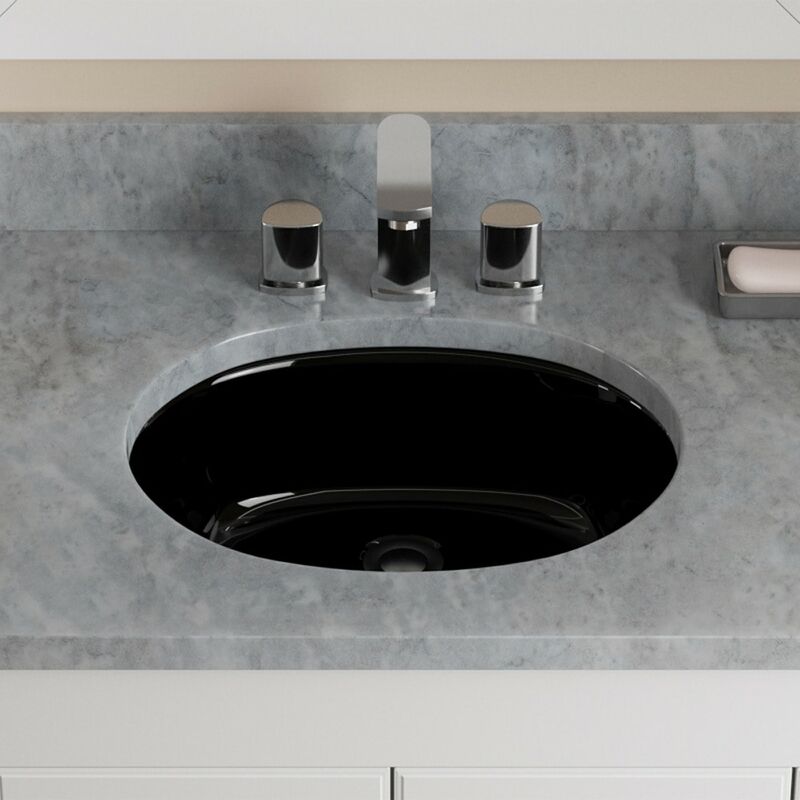 The UPM-Black porcelain undermount sink is made from true vitreous China which is triple glazed and triple fired to ensure your sink is durable and strong. The black glaze creates a mirror effect for a shiny finish. Undermounting a bathroom sink creates a sleek look and allows for more space on your countertop. The overall dimensions for the UPM-Black are 19" x 15 1/2" x 7 1/4" and requires a 21" minimum cabinet size. Pop-up drains in a variety of finishes are available with this sink model. As always, our porcelain sinks are covered under a limited lifetime warranty for as long as you own the sink.